Mayor Ko Wen-je personally tried out the Taipei Grand Trail by taking a trip in the morning of December 2. 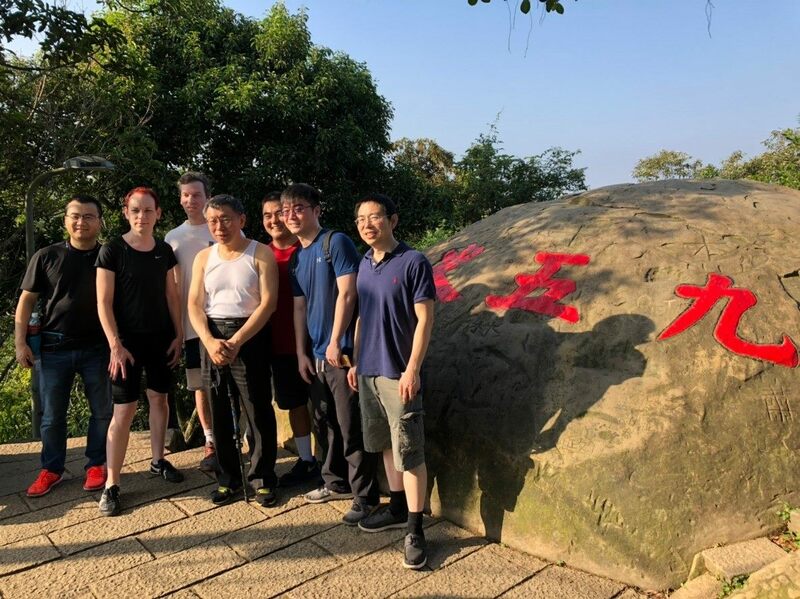 Starting off from China University of Science and Technology at 7 AM, he traveled past Nine-five Peak and arrived at the Beixingbao Temple Hiking Trail Entrance of Elephant Mountain, taking 3 hours to cover the 5.5-kilometer hike. The mayor pointed out that the Taipei Grand Trail, which spans 92 kilometers, forms the core of Taipei’s hiking and walking trail policy. He believes that by consolidating and improving the trail environment and related services, these facilities have the potential to attract outdoor enthusiasts, which in turn will help businesses located along the vicinity of these trails. This will create a win-win situation for the government, tourists, and businesses. According to the Geotechnical Engineering Office (GEO), the Taipei Grand Trail project was carried out within a period of 6 months, spanning the phases of planning, onsite assessment, route determination, and setting up guide system and maps. The 92-kilometer-long trail covers an elevation difference of 1,120 meters and has been tested by over 300 hikers. Regarding preparations, Chief Chen from GEO’s Industrial and Trail Section suggested that hikers should take on the trail section-by-section if they set their minds to traverse the entire trail. Hikers should also assess their own fitness and select routes and schedule accordingly. Remember to bring necessary gears, water, and rations, as well as travel with company and follow the directions along the way.